Throughout his career as an international soccer megastar, Zlatan Ibrahimovic has experienced his share of big moments. Sunday will be no different. 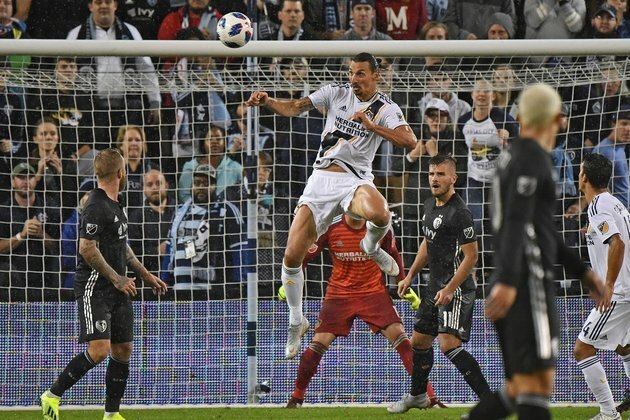 With a playoff berth still up for grabs, the LA Galaxy will have Ibrahimovic available for selection against Minnesota United in front of what's expected to be a record crowd in the Loons' final game at TCF Bank Stadium. LA (12-11-9) improved to 2-0-1 in its last three matches after a 1-1 tie with Sporting Kansas City on Oct. 6. Despite the surge, the Galaxy are four points behind Real Salt Lake for the sixth and final Western Conference playoff spot. RSL clinches a playoff spot with a win over the Portland Timbers in its season finale on Sunday. LA closes its slate at home on Oct. 28 against the Houston Dynamo. "We are in the [playoff] picture, and more than 50,000 is coming, and I owe them to come because obviously, they don't have this crowd every home game," he told the team's official website. "I'm sure they're not coming for Minnesota, so I'll come, and I'll make them enjoy." What also makes this development newsworthy is that 37-year-old Swede appears ready to play on the artificial turf at the football stadium on the campus of the University of Minnesota. He's played on artificial turf only once this season and It's not known how much he would play if selected. "We've already had a conversation beforehand, but he knows the importance of the game, and he wants to play and wants to play well," Galaxy coach Dominic Kinnear said. Ibrahimovic's first season in MLS has been a success by all measures. He's scored 21 goals -- second-most in the league behind Josef Martinez of Atlanta United -- and collected 30 points in 25 games (22 starts). No. 9 has also notched five goals in a four-game scoring streak. Minnesota (11-18-3), which is not headed to the postseason, has been outscored 7-1 in two straight losses. The club was blanked for the eighth time this season in a 2-0 loss to the Colorado Rapids last Saturday. With little else other than pride to play for, the Loons will try to break the single-game attendance record for a Minnesota-based soccer team. In 1976, the Minnesota Kicks of the North American Soccer League drew 49,572 fans to Metropolitan Stadium in south suburban Bloomington for a playoff game against the San Jose Earthquakes. Next spring, United is moving into Allianz Field, a 19,400-seat stadium in Saint Paul. "Let's hope we can go out and give a performance against a really good club and that warrants the crowd we're going to get," Minnesota coach Adrian Heath said. The Loons have yielded seven goals in two losses to the Galaxy. The clubs played to a 2-2 draw on Aug. 11 in southern California as Minnesota's Romario Ibarra scored the final goal in the 84th minute. Ibrahimovic drew an assist in the match.